Borrowers have a front DTI and a back DTI. It may look something like 28/38. The front ratio is the proposed PITI (total monthly payment) divided by your gross monthly income. The back DTI is really the most important and is essentially the bottom line. It’s factoring in your total monthly debt plus your proposed new PITI (new mortgage payment) divided by your gross monthly income. The front end ratio is important for certain needs based down payment assistance programs offered by the Washington State Housing Finance Commission. For simplicity sake, let’s assume that you have a minimum of two years employment and are paid a salary of $60,000 before the government takes their portion, insurance, 401k, etc. $60,000 is the figure that we will use for your gross annual income/12 = your gross monthly income. Your gross monthly income is $5,000. NOTE: Installment debts with a term of less than 10 months remaining may not be calculated in your DTI ratio. If you are paying child support and it’s continuing for 3 years; this is factored into your DTI as well. If you are paying alimony, you may want to consider an FHA loan as the alimony payment is treated differently. We have a sub-total of $500 for monthly debts (300+150+50). One way to determine what mortgage payment you qualify for is by taking the gross monthly income of $5,000 x 45% (max back end ratio) = $2,250. Deduct the monthly debt payments of $500 from $2,250 = $1,750 total monthly mortgage payment. Different programs will allow for different DTI ratios. And (at this present time, although this could easily change in our current mortgage climate) automated underwriting (AUS) dictates a majority of what is allowed for a DTI ratio based on the other strengths of the borrower (down payment, credit, assets, employment, etc). For example, the less money you put down towards the property, the lower your DTI will be. Sometimes there are exceptions to debt to income ratios. Some programs have more flexibility than others allowing a higher debt to income ratios based on the response received by automated underwriting (AUS). Down payments/home equity, credit scores and other aspects to the application may impact the allowed debt to income ratio. Before you start paying off debts to reduce your debt to income ratio, please consult with a local licensed mortgage professional (I’m happy to help you if your home is in Washington state). Sometimes debts may not need to be paid off and having savings may be more important for your mortgage application. In addition, paying off debts may negatively impact your credit score or chances of getting approved for a mortgage if you have “shallow credit“. It’s never too early to start the preapproval process. More important than what mortgage guidelines will allow you to have is what is comfortable for you and your household. 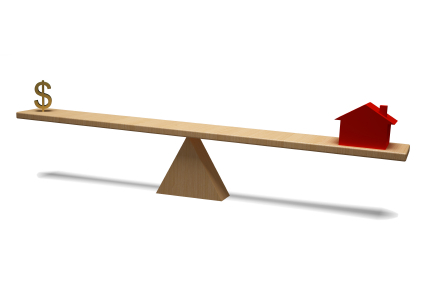 Just because you qualify for a higher mortgage payment does not mean that you must have it. Consider paying yourself first with a monthly allotment going towards funding your retirement or your child’s 529 for college tuition. Leave yourself some wiggle room because life happens when you least expect it. If I can help you with your home purchase or refinance of your home located anywhere in Washington state, please contact me.